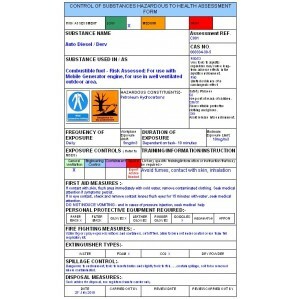 Blank Template for COSHH Assessments, image below shows page 1 with an assessment on diesel show here for illustration purposes (our assessment template is blank), The Symbols are available in our COSHH Pack listed in the COSHH section or see related products. 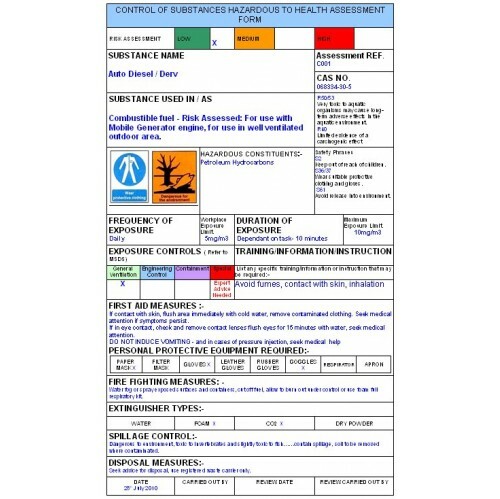 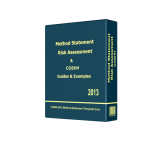 Just make sure that you obtain the latest Material Safety Data Sheet from your supplier, we have found that some retailers have out of date data sheets. 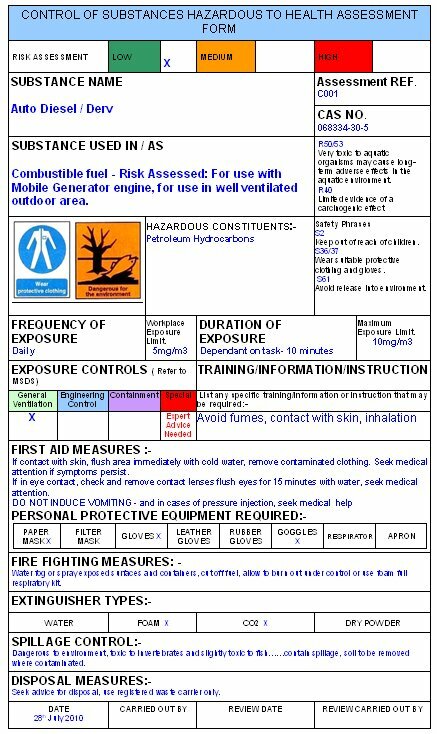 Download is free but this template is subject to copyright and may not be redistibuted or sold.